Daily Mirror - How will TNA solve the problem of Northern Chief Minister Wigneswaran? How will TNA solve the problem of Northern Chief Minister Wigneswaran? “Oh, how do you solve a problem like Maria? - Oscar Hammerstein in “Sound of Music”. 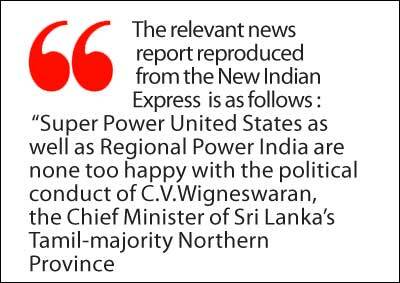 “Super Power United States as well as Regional Power India are none too happy with the political conduct of C.V.Wigneswaran, the Chief Minister of Sri Lanka’s Tamil-majority Northern Province. 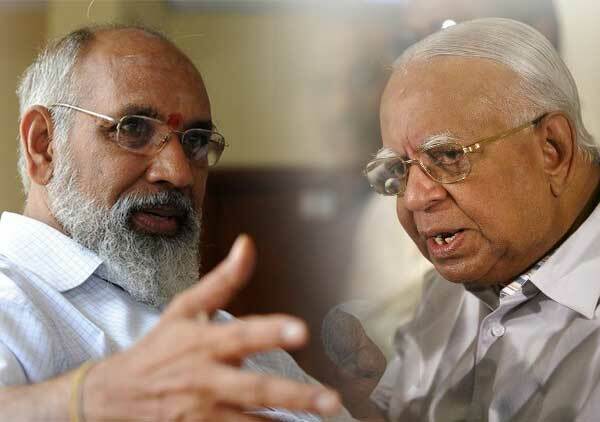 Wigneswaran told Sinha that differences within the TNA could be solved through talks, but it was apparent that the gap was wide, if not unbridgeable. He vehemently justified his opposition to the Sirisena-Wickremesinghe government and to the TNA leadership’s reposing faith in it. However, the TNA’s leaders are unfazed. Sampanthan threw the gauntlet when he said in Batticaloa: “If the party and the people want it, I will step down in favour of Wigneswaran.” He is not walking away. Balachandran’s report as well as my column last week have focused on what has now become the major problem threatening the unity of the Tamil National Alliance (TNA) which is the premier political configuration of the Sri Lankan Tamils. The problem is none other than the political conduct of Northern Province chief minister Canagasabapathy Visvalingam Wigneswaran who was elected on the TNA ticket under the house symbol of chief TNA constituent party Ilankai Thamil Arasu Katchi (ITAK) with over 132,000 preference votes at the September 21st 2013 Provincial poll. Decades ago when Sri Lanka was known as Ceylon, the YMCA in Colombo organized a lecture on the theme of “Problems facing Independent Ceylon”. Solomon West Ridgeway Dias Bandaranaike (SWRDB) then a minister in the cabinet of DS Senanayake was the guest speaker. The lecture was presided over by the “YMCA forum speaker” Anandatissa de Alwis who later went on to become speaker of both the National State Assembly and Parliament of Sri Lanka. The irrepressible Anandatissa known for his impish wit brought the house down when he introduced SWRD as the “person best suited to speak on the problems facing Ceylon because many felt that SWRD Bandaranaike was the biggest problem facing Independent Ceylon then”.SWRD was not amused. Former Supreme court judge C.V.Wigneswaran was nominated by the ITAK as the chief ministerial candidate of the TNA for the Northern Provincial Council elections of September 2013. The ITAK was the chief constituent of the five party TNA at that time. Subsequently the other TNA constituents endorsed Wigneswaran’s candidacy and declared him to be the common candidate of the TNA. The TNA won 30 of 38 seats at the provincial poll and Wigneswaran topping with over 132,000 preferences. CV Wigneswaran was sworn in as the first Northern province chief minister in October 2013. Wigneswaran however has subsequently struck out on an errant course with an agenda of his own that has been at variance with the TNA in general and the ITAK in particular. Political observers have noted that Wigneswaran acquired new found political courage after the defeat of Mahinda Rajapaksa at the Presidential elections of Jan 8 2015. President Maithripala Sirisena replaced Northern Governor Gen. Chandrasiri with ex – diplomat HMGS Palihakkara. 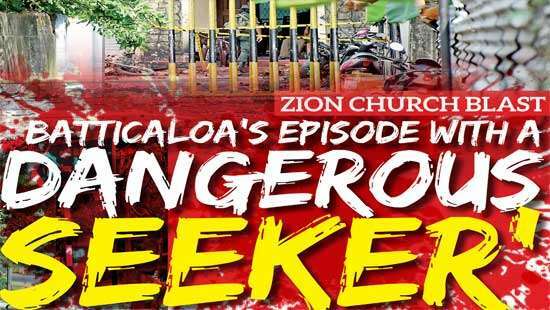 Earlier the chief minister and Governor had been at loggerheads with each other and Wigneswaran complaining that Chandrasiri was not allowing him to administer the province freely. After Chandrasiri’s removal the chief minister began embarking on a “deviant” political course that was suspected of being influenced by extremist elements in the Global Tamil Diaspora. The chief minister defied the ITAK leadership by presenting two resolutions in the Northern council that aroused political controversy. One called for a UN probe into the alleged genocide of Tamils in Sri Lanka and the other demanded an international and not domestic investigation into the alleged acts of war crime perpetrated by the Colombo Govt during the final phase of the war. Both resolutions embarrassed the ITAK/TNA hierarchy greatly. Wigneswaran has also been making public utterances critical of the TNA leadership and some MP’s. He has made unsubstantiated charges of corruption against “unnamed” MP’s of the TNA.Wigneswaran also refused to campaign for the TNA at the Parliamentary election saying he was non – partisan. Adding insult to injury the chief minister issued two public statements with a “veiled appeal” that people should vote for the Tamil National Peoples Front(TNPF) The TNPF though strongly backed by the tiger and pro-tiger Diaspora elements fared miserably at the elections. The controversial conduct of Wigneswaran especially his overt refusal to canvass for TNA and the covert support extended to the TNPF has infuriated a large number of TNA parliamentarians and provincial councillors. They have demanded that action should be taken immediately against Wigneswaran. Some have even urged his removal as chief minister.The ITAK hierarchy however has refused to be stampeded into action and analysed the situation in depth. Thereafter a three phase strategy has been devised to deal with the chief minister’s indiscipline and solve the Wigneswaran problem. A three member delegation comprising Leader of the Opposition and Tamil National Alliance(TNA) leader R.Sampanthan , the ITAK President and Jaffna district MP “Maavai” Senathirajah ITAK secretary and Eastern Provincial council minister Thurairajasingham is planning to meet chief minister Wigneswaran shortly and seek to iron out differences with him. The envisaged meeting is the first stage of the proposed three phased political strategy. 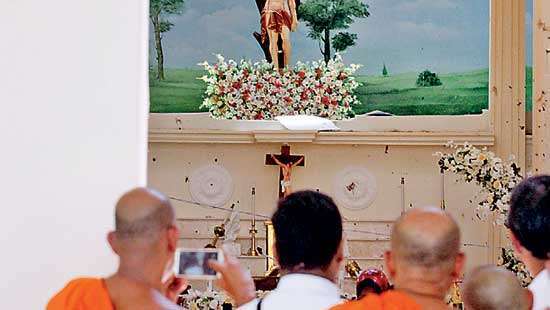 Efforts are to be made during these discussions to make Wigneswaran recognize his mistakes and repent. If that happens Wigneswaran will be let off with a gentle admonition. A statement would be issued saying there are no differences within the TNA and blame will be apportioned to the media and “Anti’Tamil traitors” for trying to cause divisions. If these discussions do not bear fruit or if Wigneswaran subsequently renegades on his Good behaviours pledge , the second phase of the strategy would come into play. Plans would be drawn up to re-structure the Northern Provincial administration and re-invigorate it. The chief minister would be “requested” by the ITAK hierarchy to resign his office “Voluntarily”. It would be stated that Wigneswaran had agreed to serve as chief minister for only two years and that he was now quiting his post on his own. Wigneswaran would be given a rousing farewell and retired to pasture amiably without the ex-judge having to lose face. If Wigneswaran is not amenable to this “golden handshake”option the third phase of the strategy would come into play. Stern action would be taken to remove him from his post. A no confidence motion would be passed by TNA provincial councillors against the chief minister who would be asked to resign.A resolution urging Governor Palihakkara to recommend the chief minister’s removal to President Sirisena would also be made. Simultaneously the ITAK would hold a disciplinary inquiry against Wigneswaran and pass strictures against him. Though the ex – supreme court judge could always resist his removal from office by resorting to courts the ITAK hierarchy opines that Wigneswaran would not enter into an undignified and protracted legal wrangle. The hierarchy is optimistic for now that Wigneswaran would be enlightened enough to see the error of his ways and engage in a course correction that would be mutually beneficial to both the party as well as himself. Some however are not so sure. Lanka and abroad. It is suspected that if the ITAK tries to discipline Wigneswaran the chief minister will break away from the TNA and form a new Tamil political configuration under the aegis of the Tamil United Liberation Front(TULF) symbol of sun. It may be recalled that TULF Leader Veersasingham Aanandasangaree extended an open invitation to Wigneswaran to take over his party and symbol. It is being portrayed through the media that a very large number of Tamils are backing Wigneswaran. This is similiar to what the Tamil media did in the Parliamentary poll.Media inspired illusions of a TNPF denting the TNA were shattered. The TNPF with Wigneswaran’s indirect support was decisivey routed in all districts of the North and East. Moreover the ITAK leadership is also wary of how many members of the TNA may break away with Wigneswaran if a break occurs. Though it is felt by many that notwithstanding pro-Wigneswaran projections by sections of the media only a few TNA members would opt to back the ex –judge if and when a party split becomes inevitable. It is also felt that despite a bloated media illusion the vast majority of the Tamil people would not throw in their lot with the extremist policies of Wigneswaran. The August 17th Parliamentary poll in which the hawkish Gajendrakumar Ponnambalam covertly backed by Wigneswaran suffered a resounding defeat lends more credence to this opinion. TNA leader Sampanthan’s declaration in Batticaloa that he will step down if the party and people wanted Wigneswaran is a clear illustration of this confidence. 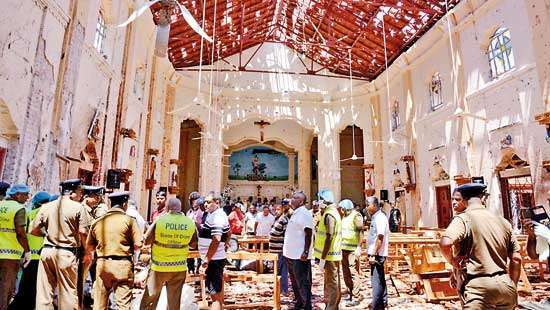 However the veterans Sampanthan and Senathirajah are comparatively more responsible than the rash and impulsive Wigneswaran whose political conduct at times is akin to an elephant running amok in a potterry boutique. Even if confident of the final outcome in a political clash with Wigneswaran, the TNA/ITAK leaders are pragmatic enough to realise that a political split at this juncture would be detrimental to the long term interests of the TNA as a party and the Tamils as a people. This assessment is shared by India which is why Indian envoy YK Sinha emphasised unity to Wigneswaran in Jaffna.Hence the TNA leaders would tread cautiously in dealing with Wigneswaran .The coming weeks and months are likely to witness a cold war of the Thamizhian variety between Wigneswaran and the TNA/ITAK leadership. This political struggle is likely to crystallize into concrete confrontation at the forthcoming local authority polls. The irony in this situation is that Wigneswaran was at one time promoted by TNA leader Rajavarothayam Sampanthan as an ideal panacea to the political issues facing the Sri Lankan Tamils in general and the Tamil National Alliance in particular. Instead of being an asset of great utility as envisaged by Sampanthan the retired supreme court judge has turned into a liability of grave proportions. Wigneswaran was expected to administer the Northern provincial council on the one hand and be an able political deputy to Sampanthan and strengthen the TNA on the other. Instead what has happened is that Wigneswaran has virtually let the Northern council be converted into a white elephant on the one hand and let himself be turned into a destructive weapon threatening the unity of the TNA and undermining Sampanthan’s leadership on the other. Many explanations and justifications have been trotted out by “Wigneswaranistas” for this sorry state of affairs. These range from the glib “clash between confrontational and conciliatory approaches” theory to the “inability of Wigneswaran as a person of integrity to compromise on issues affecting the well-being of the Tamil nation” rationalisation. However the crux of the matter is that CV Wigneswaran is currently perceived by many as a puppet in the hands of extremist sections of the global Tamil Diaspora. Those holding the puppet strings are suspected of being Diaspora elements faithful to the ideology and objectives of the Liberation Tigers of Tamil Eelam(LTTE). 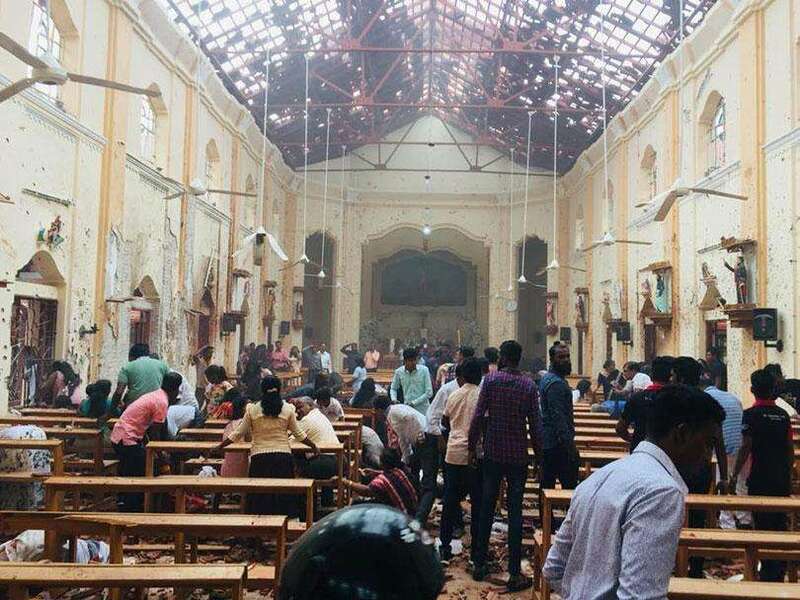 Proving the charge of genocide and bringing about the collapse of the Northern Provincial council are the twin objectives of the LTTE and pro-LTTE diaspora. Wigneswaran has been raising the cry of genocide and undermining the provincial council in recent times.